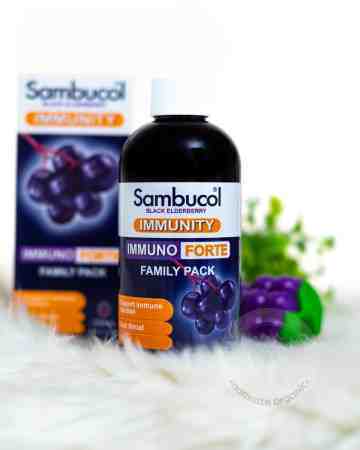 When the cold season strikes, it can feel like our kids are always sick. That’s where Sambucol kids may be of assistance. Sambucol Kids liquid features the same elderberry our products are famous for, with added Vitamin C and Zinc that work to help shorten cold and flu symptoms. 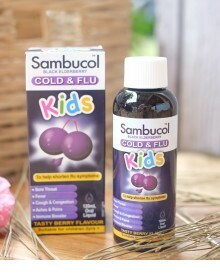 Kids love the taste and it is ideal for children 2 years and older. 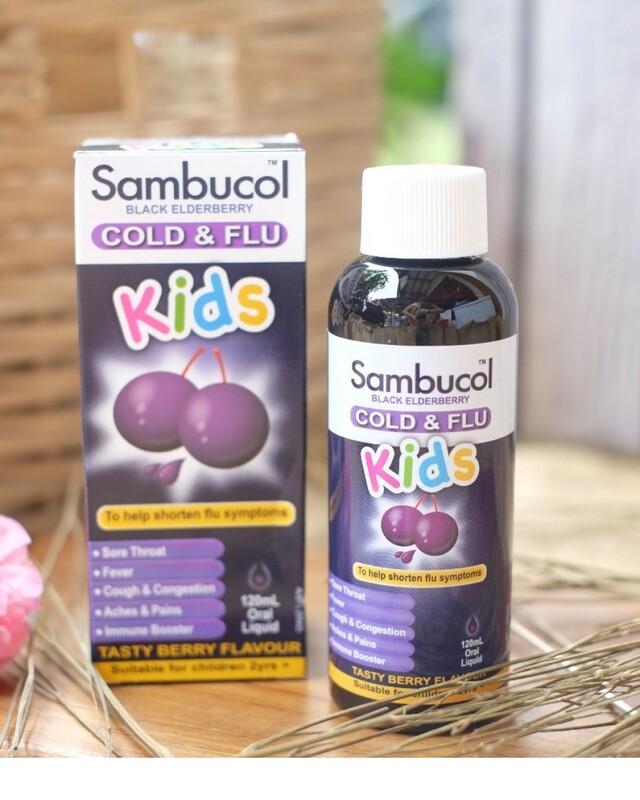 Sambucol Kids Liquid is best administered to your child at first sign of cold and flu – we recommend taking within 48hours of the onset of symptoms. 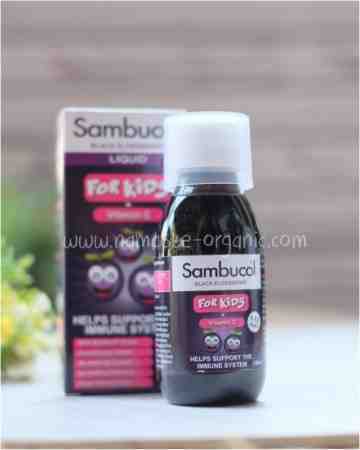 Children 5-12 years: 15ml (1 tablespoon) once a day. 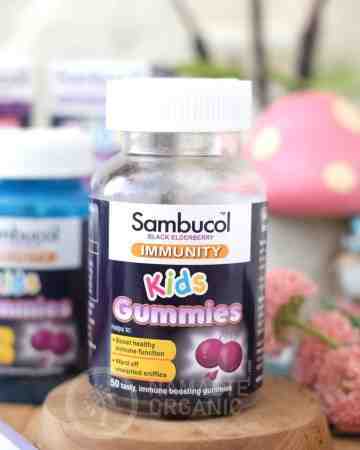 Children 2-4 years: 7.5ml (1/2 tablespoon) once a day. Not to be used in children under two years without medical advice. Vitamin supplements should not replace a balanced diet. Keep out of reach of children. Contains gluten from wheat. Contains potassium sorbate and glucose. No added: lactose, gluten, yeast, dairy, or artificial colours.